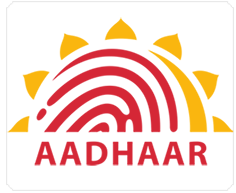 Aadhaar Jobs Recruitment Notification 2019.Unique Identification Authority of India, UIDAI inviting applications for the positions of Assistant Accounts Officer.Interested and Eligible candidates can apply for the positions. 2. Professional qualifications of Chartered Accountant/Cost Accountant/MBA (Finance); OR Having passed SAS/equivalent examination of organised Accounts Cadre of Central/State Government; OR Having successfully completed Cash and Accounts training conducted by ISTM; Five years experience in finance, accounts and budget related matters. 3. Desirable Qualifications/ Experience: Knowledge of/ experience in work on Tally or other accounting software. 2. The applications of suitable and eligible officers complete in all respect, in the prescribed format (Annexure-I), along with documents listed in para 3 and 4 above may be forwarded to Deputy Director (HR), Unique Identification Authority of India (UIDAI). Khanija Bhavan, No.49, 3rd F l o o r , South Wing, Race Course Road, Bengaluru-560001. The last date for receipt of applications Complete respect is 22.04.2019. Candidates who apply for the post will not be allowed to withdraw their candidature subsequently . Since this vacancy is to be filled up on deputation basis, private candidates are not eligible.